‘The city of a hundred spires’ had long been on my long list of places to visit but, not wanting to greet our stag night ambassadors out there, I kept putting it off. The inhabitants of Prague had an eventful 20th century. The city was made the capital of Czechoslovakia when that country declared its independence from the Austro-Hungarian Empire after the First World War. The Nazis who occupied the country during the Second World War were soon replaced by the Communists who remained in power until 1989. In 1993, the country split into Slovakia and the Czech Republic, with Prague as its capital. The city’s dramatic past is mirrored in its wealth of architectural styles. From medieval to Art Deco to Neoclassical to Modern to Contemporary, most styles are well represented. My good friend, Roland, and I booked our trip for three nights beginning from a Monday night in order to avoid embarrassing louts. The drive from the airport was rather uneventful as was our walk from our suburban hotel to the city centre. Once we reached the river though, it was immediately clear what all of the fuss is about. The wide river, with its islands and famous bridges, is lined with grand structures. On the opposite bank, I then saw the building that I had been waiting for. Several buildings in Prague really were to my taste such as the elegant Rudophinum, the dominant St. Vitus Cathedral and the massive Prague Castle (the largest castle in the world apparently). 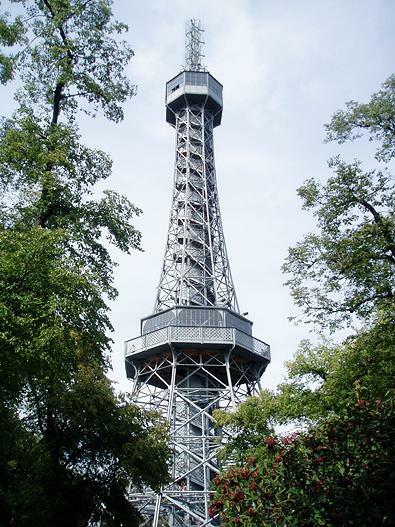 The Petrin Tower up on the hill was simply good fun and is Prague’s very own Eiffel Tower; albeit at 1/5 of the size. However, it was Vlado Milunic and Frank Gehry’s ‘Dancing House’ that I had really come to see. Gehry is of course the architect who is responsible for the current King Alfred plans in Hove. 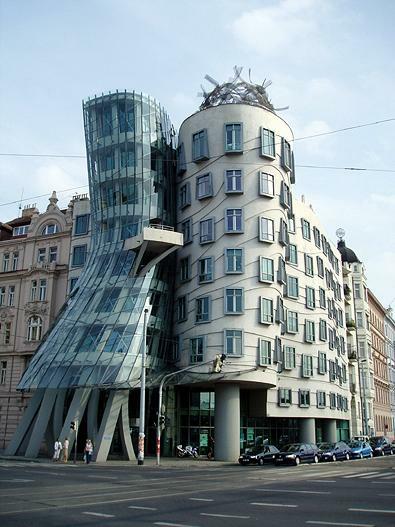 The Dancing House was built from 1994-6 and replaced a Neo-Renaissance house that had been bombed during the Second World War. This modern icon does seem to respect its neighbours though. In fact, one of the next-door neighbours, a former Czech president, was a great supporter of the project! This is one of the rare examples of glass and concrete expanses holding their own alongside the classically-inspired. Prague is beautiful. Prague is stunning. But, architectural fans, please behave yourselves out there – us Brits aren’t too popular with the locals already!